Loving how this oversized chair and ottoman turned out! We used the oatmeal linen fabric. 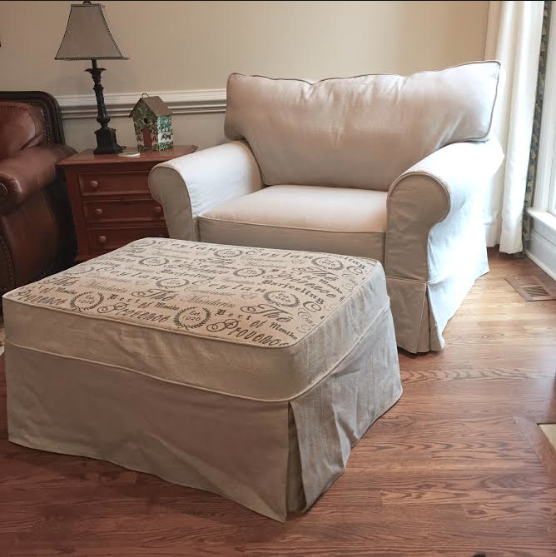 The client also provided the script on top of the ottoman to give it a little dimension. Below is the before and after. Hi Kristi – Just beautiful work!! Have you found the oatmeal linen fabric again? Last you wrote about it, it was out of stock. Would love a link if you have one!